H U R R Y . E N D S T H I S W E E K E N D . 6 – 13 A PR I L .
SAV I N G S AC RO S S C L E A RA N C E , D E M O & RU N O U T V E H I C L E S . ON ALL NEW MAZDA VEHICLES. 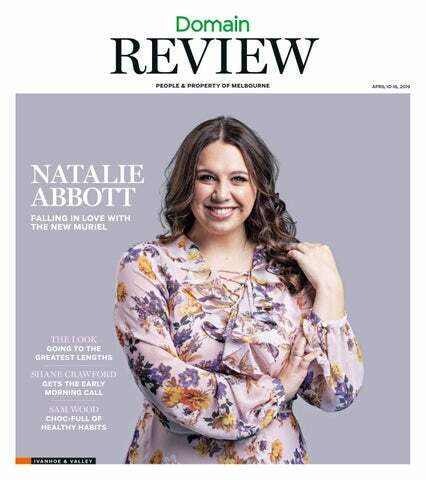 Dancing Queen From shop assistant in Sydney to centre stage in Porpoise Spit, theatre debutant Natalie Abbott is making a famous role her own. supportive,” she says. “They just made me feel like it was OK to go and make a few mistakes. “I think that’s probably part of the reason why I got the role, because I wasn’t perfect at the auditions. I was so scared of what I was doing and they were so supportive.” That day she also made a friend in Hogan, and Abbott and the whole cast are determined to make him proud. “This is his baby, and he holds the story so dear and close to his heart,” she says. “We want to do a good job for PJ, just as much as PJ wants this to be as special as the film was. I think we’ve done that for him. “He is such a loving and caring person. To be doing this with someone as incredible as him and the whole creative team, it’s been amazing.” Muriel’s Wedding The Musical tells the famous fictional story of Muriel Heslop, who yearns for life to be like an ABBA song as she struggles with living in the town of Porpoise Spit. A couple of original ABBA songs feature in the musical score, but most of it has been written by Australian singer-composer Kate Miller-Heidke and musician Keir Nuttall. Heidke will get her very own stage moment next month representing Australia at Eurovision in Tel Aviv. From the show’s script to the costumes and its sense of humour balanced by darkness, it’s very Australian tale, and that is not lost on Abbott. turned into an arty, maximalist, collectors' haven. Yesteryear contraptions sit alongside handmade produce. The “winter garden” is a huge, high-ceilinged space with giant hanging baskets of faux fernery and a wall of vintage mirrors, nearly all from the family. Out back is a Garden of Eden-style courtyard, chockers with blooms, cherubic sculptures, a bathtub-turned water garden, topiary conifers shaped into spirals, and mismatched tables sheltered by retro umbrellas. A 1940 Bedford remains in the kitchen garden, now resplendent with produce. Leech says her “furry baby is a very spoilt chihuahua”, so water bowls are dotted throughout the garden, she’s ordered dog beds for winter so four-legged guests won’t have to lie on cold concrete, and dog biscuits are on the chefs’ prep list. Your locks need a trim every eight to 12 weeks, at least. Do not skip salon visits, even if you aim to add inches. This will stop split ends, and keep your follicles healthy, which encourages growth and imparts length. If you don’t trim, the hair shaft will split, leaving it damaged, unhealthy, frizzy and thin – the opposite of the full head of hair you seek. The only remedy for split ends is a sharp pair of scissors. A good shampoo and conditioner is a must; it doesn’t have to be expensive, but it should come with a recommendation from your stylist. Poor quality shampoo and conditioner is the main reason long hair becomes unmanageable. Despite the initial cost of a salon-bought shampoo and conditioner regime, in the long run, it is the easiest and cheapest way to keep hair healthy, getting rid of oil and product build-up. It doesn’t have to be expensive, but it does need to be purchased from a professional hairdresser or haircare store. recommends a routine for you that is simple, easy and affordable to maintain at home. ● Antoinette Bekos is the founder and director of AB Hair & Makeup in Albert Park, with celebrity clients in Melbourne television and theatre. favourite, Luxe Oil from Wella SP. 3 From left: Miracle Hair by Eleven, Smooth Style Serum by Oribe, Luxe Oil by Wella SP. Everything you need to find your next home Whether you’re looking for more space, searching for your ideal neighbourhood or navigating a busy inspection schedule, the Domain app is packed full of features to make your next move easy. Start your property search today. admits life is very busy both personally and professionally. His role on The Footy Show will see him connect with the game’s fans and their stories, outside of the studio. However, it will be a very different delivery to Sam Newman’s old Street Talk segment, which at times polarised viewers. “There are so many wonderful stories and amazing people out there in football whose stories I think are really important for our show,” Crawford says. “I’ll be getting out and about, so it doesn’t matter where I am, I can still be part of the show.” He hopes the new version of The Footy Show with comedian Anthony “Lehmo” Lehmann as host and also featuring journalist Neroli Meadows, retired legend Brendan Fevola and tennis champ Dylan Alcott, replacing the longtime line-up, will last for many years to come. “Hopefully we can build this show and give it a bit of momentum as the season goes on.” ● THE FOOTY SHOW \ Wednesdays, 8.30pm, Channel 9. MEGAFACTORY CLEARANCE Electric lift Chairs, Recliners, Wall Units and more! 10 Jersey Road, Bayswater, 3153. 03) 9729 7233 tessafurniture.com | Be early for the best bargains. SATURDAY 13TH APRIL CENTRE WIDE 10AM-1.30PM BUNNY VISIT giving away free chocolate easter eggs. ‘Free’ craft activities and glitter tattoos. Sweet temptation The cocoa in chocolate can have health benefits, but are you treating yourself to the right kind? adjoining lawn comes with the sale. of which share the main bathroom with deep bathtub. Eltham North 45 St Clems Street Space and Elegance In A Premium Pocket Originally used for jackaroo accommodation in 1916, this charming cottage has been artfully extended, renovated and rejuvenated. Taking a brilliant past into a perfect present, itÂ´s ready to take your family well into the future! Framed by picturesque established gardens on a generous 998m2 allotment (approx.) within the coveted St Helena College zone, this utterly captivating homeÂ´s designer detail, commitment to quality and gracious proportions delivers immeasurable family lifestyle appeal. Get ready to be impressed! With a fantastic rural setting to the rear and a family-friendly park directly opposite, this home enjoys a wonderful sense of space and serenity just a short near-level walk from the train station and central Diamond Creek! Three living areas and a modern kitchen set the scene, accompanied by a study/4th bedroom and fantastic alfresco zone. With abundant storage, ducted heating/cooling and double garage, prepare to be inspired! This well located home enjoys lovely views across parklands. Spacious living areas and fabulous alfresco entertaining immerses you in beautiful natural surrounds. Garage and ample parking appeal. A short walk to train, schools, shops and more. Be quick for this beautiful home! 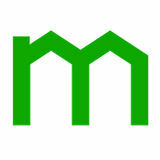 Easily fit property search into your life Kick off your property search by simply starting a shortlist. In just a few taps you can share your shortlist, view upcoming inspections and see what is available or off the market, all in one spot. Established 37 years, our fully equipped studio is located in Yarrambat. We cater for children to adults, beginners to professional. Greensborough With more than 17 years experience and salons all over Australia, Brazilian Butterﬂy are the total body care specialists, for both men and women. From standard and specialty waxing, to the latest in laser hair removal, spray tan applications, and exclusive skin care products, we’ve got you covered!